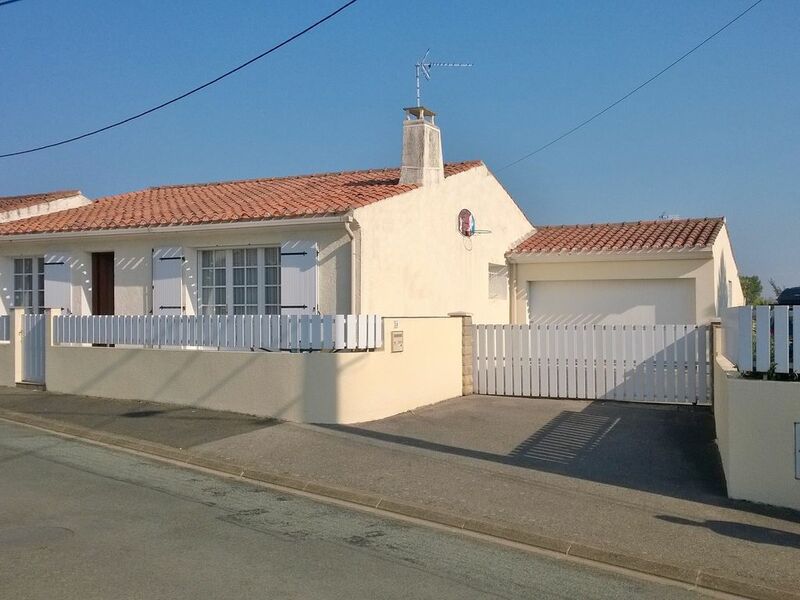 Superbly situated 1km from the local beach and 3km from the busy resort of Les Sables D'Olonne this home is ideal for a family holiday. The house is on a quiet road and it has a perimeter fence all round which makes it totally safe for children. The house itself consists of one double bedroom and two twin rooms. It boasts a kitchen, laundry room, living/dining room with TV, DVD, bathroom, 2 toilets and a patio complete with barbecue and table and chairs for al fresco dining. Brand new bathroom with shower, bath & toilet. Gorgeous house in a glorious location. This home has everything to make a holiday stress-free and relaxed. The road is effectively a cul-de-sac (so there is no through traffic) which leads to a wide choice of paths for walking and cycling along the canal and through the forest to the beach, with a couple of very impressive restaurants, cycle hire and canoe hire within a 10 minute stroll. Unlike some properties, it is not stranded kilometres from anywhere: Les Sables d'Olonne is just a few minutes away by car and there is plenty of entertainment within a short distance. The house is very easy to keep clean and decorated to a high standard. The house/gîte is clean, tidy and very spacious (especially as there were only two of us). The kitchen has all the facilities that you will need, the living room has plenty of space despite accommodating a large dining table, the bathroom is clean and has a shower that works! Also, there are two toilets which is very handy. There is lots of useful stuff dotted around the house. We used the windbreaks from the garage and also the BBQ equipment that is stored there, for a BBQ on the rear terrace (cleaning it afterwards and replacing the charcoal and fuel that we used). The location is tremendous. A few minutes to Les Sables by car, supermarkets a few minutes away in several directions and the cycle path (turn right out of the front door) to the fantastic beach, up through the pines, is lovely (about 1 km away). Note that bathing is not allowed on this beach and you will need to walk a couple of miles up the coast to La Plage des Granges where the rocky coastline breaks up a bit. It's a beautiful walk, but we drove there (about 15 minutes) most days. It's also dog-friendly, but don't let that put you off, it's very clean. A great house in a lovely area. Very helpful and friendly owner. Would thoroughly recommend. Absolutely Wonderful. We had a great time here. Very quiet road but only a few minutes drive from the beaches & huge hypermarket. Brand new bathroom fitted this year which has solved the leak. Apologies about the leak from the previous review. It was a problem we were unaware of & a brand new bathroom has now beeen fitted. Ideal location in a quiet village near to Les Sable with plenty of parking and excellent nearby cycle and canoe rides. It is a good hours pleasant walk into the town and only 16euros return in a six seater taxi. The description of the property was accurate and it was fairly well maintained although we did find damp in two of the three bedrooms believed to be caused by the bathroom not being well sealed. It didn't spoil our holiday and we have informed the owners. Les Sables D'Olonne has an extraordinary variety of landscapes within a natural protected environment. The area offers natural riches for relaxation lovers complemented by cultural and festive entertainment. Affectionately known as the 'Sunshine Coast' due to its very long sunny period this area of the Vendee also offers golf, mountain biking, sailing, horse riding, quads, go-carting etc. and a fine sandy, main beach.